Week 3 of 12 London Marathon Build-up 12th - 18th February. Graston Technique® and Yoga shaped my week. After lasts weeks excellent progress my aim this week was to continue increasing the length of my runs, but still restrict myself to 1 run a day. This week is half term so I have more quality time with my family. I hope to gain an extra hour or two of sleep a night after so many early starts last week going to the pool. I woke to a sunny morning yet the temperature was barely above freezing point. In anticipation of this I piled on extra layers including gloves and cap. My target today was 12 miles. Like last week I was keen to stay away from steep hills so did several laps of the park adjacent to my house where the underfoot conditions in places was unsurprisingly slippery. After completing 6 miles on a variety of surfaces in the park I ventured away to run on the roads and paths which I found less slippery. After many loops around my local area I wrapped up the run nicely increasing the pace in the final two miles. I did not fear the distance today. Biomechanically I felt I was moving nicely, up on my toes and hips high compared to the sitting position I sometimes adopt when I am lazy, tired or deconditioned. A good start to the week. keep it short. As a consequence of yesterday’s longer run my back was a bit tighter today. This subsequently caused mild tightness in my hip with very mild radiation of acute pain in my right testicle and down the lateral side of my right leg. However, this didn’t get any worse and was short lived. I still managed to complete the 8 mile target as planned. I could have gone further, so i'm not too concerned. Later in the morning I had a sports massage, this left me feeling rather nauseas later in the day as the released toxins polluted my body. My back felt sore and beaten up and quite stiff. My sports massage therapist Mary Crowley treated my IT bands and back using the Graston Technique. With the use of a stainless steel thin instrument rather like a blunt round edged blade, the Graston Technique uses a cross-friction massage that rubs and brushes against the grain of scar tissue. 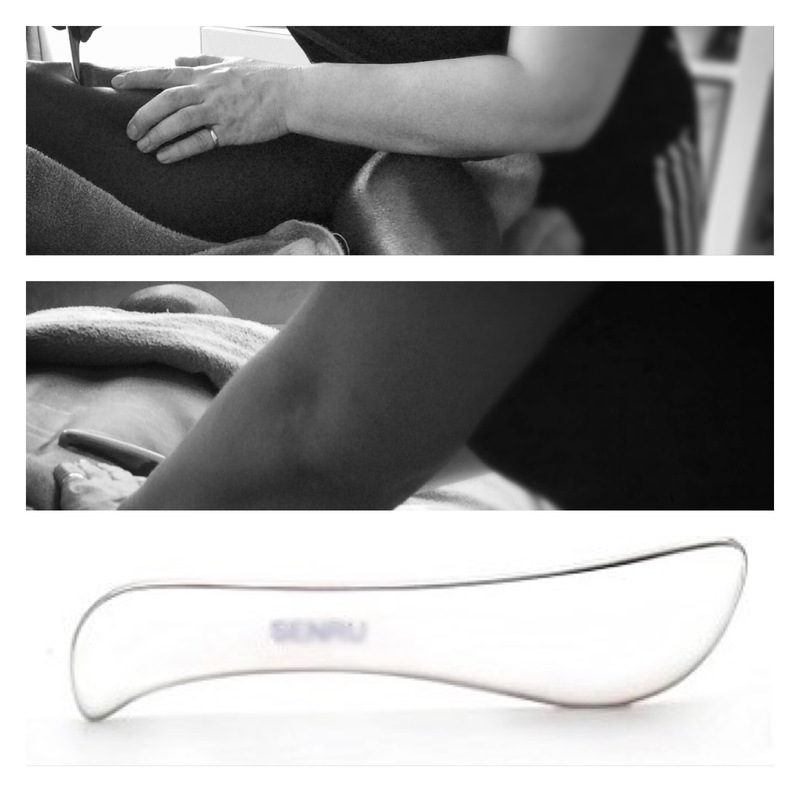 The massage creates a brief period of inflammation in the injured area and promotes blood flow. This facilitates the natural healing process of the soft tissue area being treated, by breaking up scar tissue and smoothing the tissue underneath. Graston Technique® YouTube - How does it work? I woke up this morning feeling very different to how I went to bed. I thought I would wait until the afternoon before running to maximise recovery from yesterday's run and sports massage. I kept a tight hold of the reins and restricted myself to 8 miles @ c7.00 min/mi. I want to leave something in the bank for tomorrow's run when I plan to push the envelope once more. The conditions were very blustery, I felt great floating along with the wind behind me. By stark contrast I was leaning into the wind fighting with every stride when I turned towards home. I chose a slightly more undulating route today which didn't trouble me. Later in the evening my wife and I attended a yoga class. I felt very mobile following this and seemed to be benefiting from the yoga positions which targeted the back and hips. Consequently, I went to be very positive about tomorrow's long run. Wow, today's long run went better than expected. I had limited time to fit in a long run before my wife left for work. I figured I could easily fit in 15 miles in 1hour 45mins and still have time to spare. I set off very easily as the objective was distance rather than speed. Within the first minute I could already sense this was going to be a good run. I found myself adjusting my target to 16 - 17miles in 2 hours. Today, I didn't care about what was in my way with regards to hills; come what may. Today I wasn't going be beaten. Over a route which was predominantly road with some grass fields and moderate hill climbs I managed 18 miles in just under 2 hours. Upon review my pace had progressed through the run, the opening mile was 7:25, ending with 6:16 - average pace 6:37/mi. Knowing my body can handle this distance I look forward to introducing some faster work in the near future. I left today's run very late today to maximise the recovery from yesterday‘s 18 miler. 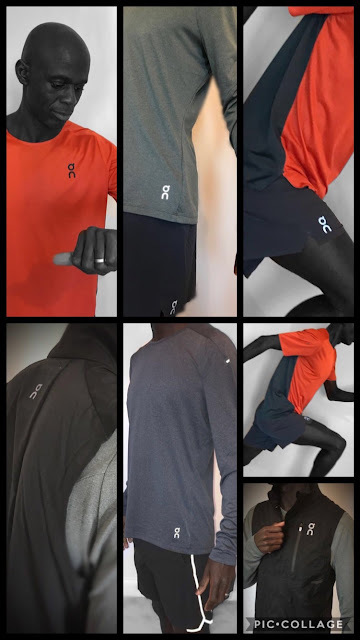 I spent the morning doing homework with my youngest daughter, and after this my eldest daughter acted as photographer and editor to produce some photographs for my social media feed to promote the launch of On Runnings Performance Running gear from the 2018 Essentials collection. From the range itself I particularly like the lightweight Weather Vest for its breathable rear air vents and zipped weatherproof, chest and rear pockets. Ideal for those milder winter and spring days. Also I'm a big fan of the lightweight Running shorts and new bright red colour-way of the Performance-T. Following the shoot, it was was 4pm by the time I did my easy 8 mile run. I kept it very slow, a perfect antidote to yesterday’s long run. It was a battle psychologically to hold myself back this morning. I was toying with introducing some fartlek, but decided to hold off another day. I was aware of a little soreness to my left posterior tibial tendon especially when turning left. This was an injury I had been returning from when I hurt my back. I think I irritated it yesterday when running on a grass bank with a steep camber, although admittedly the long run 2 days ago probably may have more to do with it! It was an early start today as I am attending an 'ON Summitt' in Loughborough with On Running Ambassadors. I rose at 5:40 a started running at 6am. I began with 2 miles easy then straight into 8 miles of fartlek. This is the first quality session I have done since my return from injury. I did wake with a sore back although this was a different type origin of pain. This felt more skeletal than muscular. I didn't let it worry me though. The session went very well. 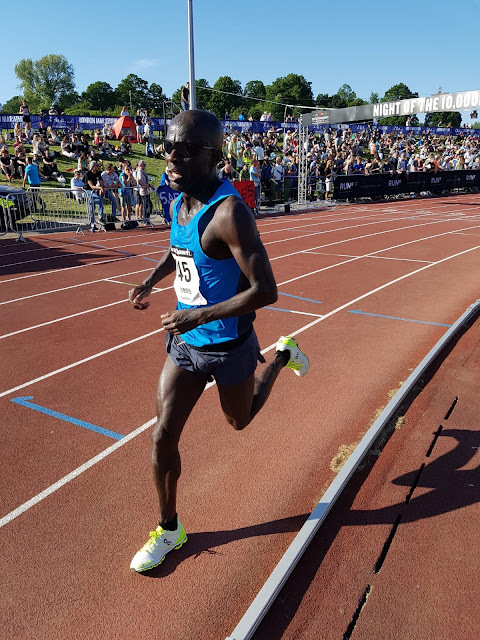 I began with long efforts with short recoveries and continued with this theme throughout and felt strong with good cadence and stride length. My posterior tibial tendon which I complained about yesterday stood up well to the session but I'll have give it some T.L.C going forward to keep things a bay. Overall a good end to another week of remarkable progression. The summit in Loughborough commenced at midday with a welcome meal. ON’s Olly Laws and Lucy Niemz played hosts. They covered technical aspects of the running shoes, history of ON, current and future ranges and sales growth. Quite interestingly we learnt how Co-Founder Olivier Bernhard was inspired to develop Cloudtec after experiencing significant less achilles problems after running barefoot on sand. A shoe attachment was developed and marketed, born out an experiment of attaching strips of hosepipe to the sole of an existing running shoe. This mimicked the foot motion running on sand. The attachment didn't take-off so a shoe was made incorporating this concept. We also looked at races which ON will be supporting this year ones which races we could collectively get together to race at. ON coach Andy Hobdell was present to give the benefit of his analytical approach to coaching. Most significantly he coached two Irish Marathon runners to the 2016 RIO Olympics. We covered topics such as hydration, fuelling, depletion runs, final 2 week preparation and the importance of identifying technically aspects of a marathon such route, hills, drink tables. I very much look forward to being an Ambassador for the second year and competing with the ON team next week at the Thorpe Park Half Marathon supported by ON. £44 - price quoted to replace the battery in my watch by a high street jewellers. The shoe repair man wouldn't replace the battery because my watch was real! 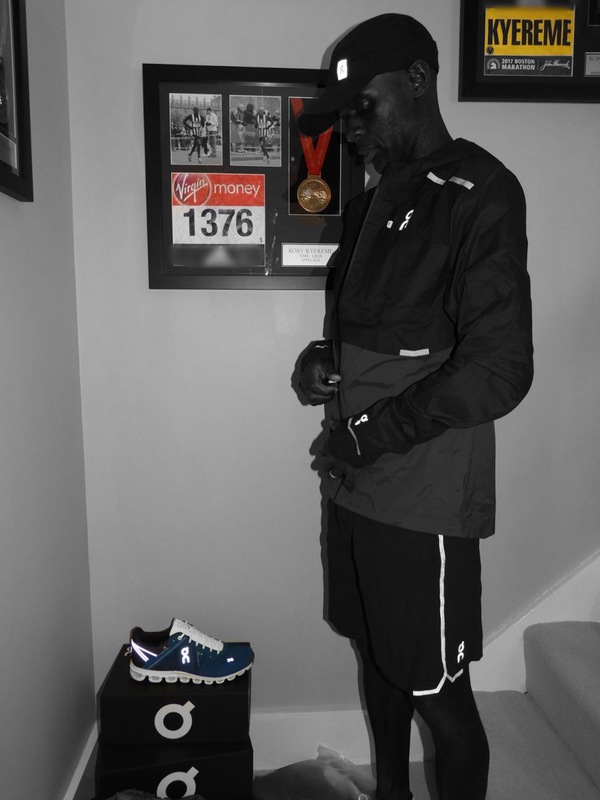 Great week of running and making super progress Kojo. 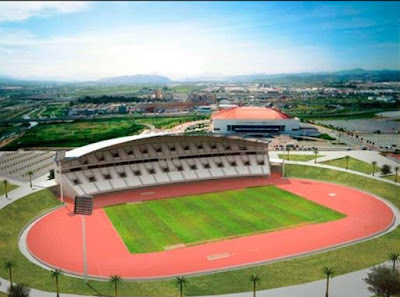 I look forward to seeing your performance in the half marathon next week. Keep up the good work Kojo. Great blog as always Kojo and really nice to hang out for abit on Sunday. Looking forward to seeing you at Thorpe Park Half. Shame you not doing National XC, the scene of our finest battles! Thanks Russell! Great to hang out with you too. Looking forward to the weekend. Yes, shame about the National. We’ll have to take the battle from the mud to the road. Good on Saturday.